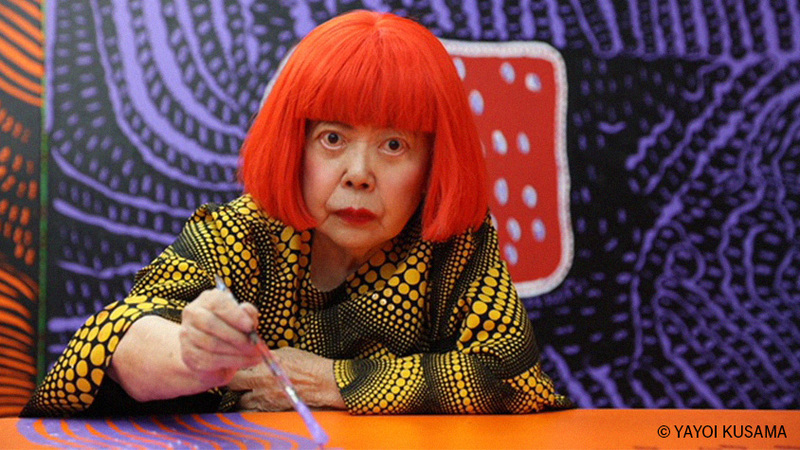 Growing up in Japan, Yayoi Kusama dreamed of becoming an artist. In the fields of her family’s nurseries she drew flowers and plants and stones, imagining the world around her as streams and clusters and arrays of dots. After studying traditional painting in Japan, Kusama moved to New York City, where she quickly became famous for her paintings patterned with dots. Now eighty-eight years old and one of the most popular artists in the world, Kusama lives in Japan and still makes art every day. “Our earth is only one polka dot among a million stars in the cosmos,” the artist has said. “Polka dots are a way to infinity.” Written by Sarah Suzuki, a curator at The Museum of Modern Art, New York, with illustrations by Ellen Weinstein and reproductions of seven of Kusama's artworks, this colorful book tells the story of an artist who is covering the world in dots, from here to infinity. Hardcover. 40pp; illustrated throughout.